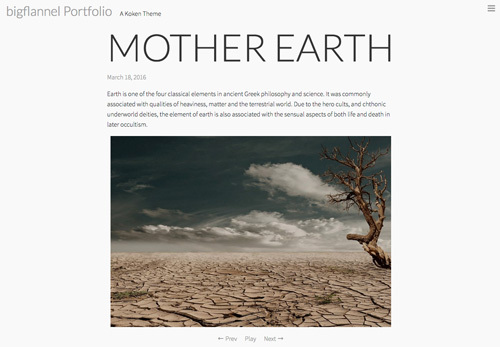 Slideshows and the page title, styled to fit the slideshow width, display on the home, album, contents and archive pages. 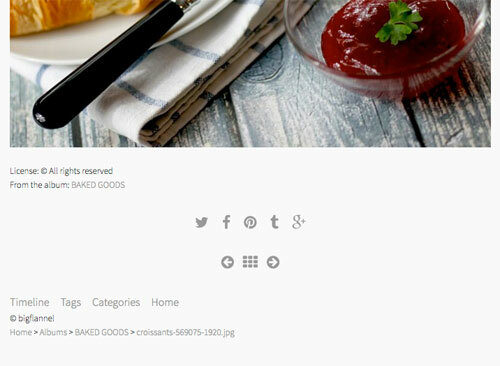 Thumbnails display on the home, album, contents and archive pages. Click on a thumb to open an image larger, click again to go to the image page. Stylish text pages support your images. Archive text pages display featured image thumbs. Navigation menus are displayed at the top and bottom left of every page. Light and dark background styles included. 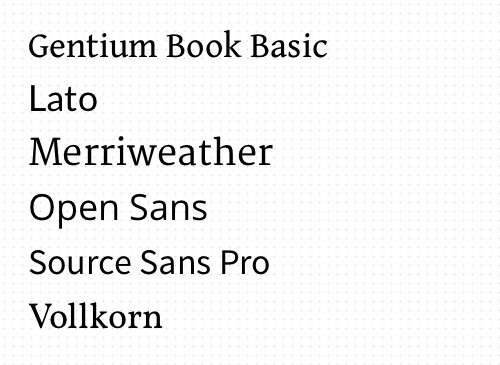 Choose from Gentium Book Basic, Lato, Merriweather, Open Sans, Source Sans Pro and Vollkorn. 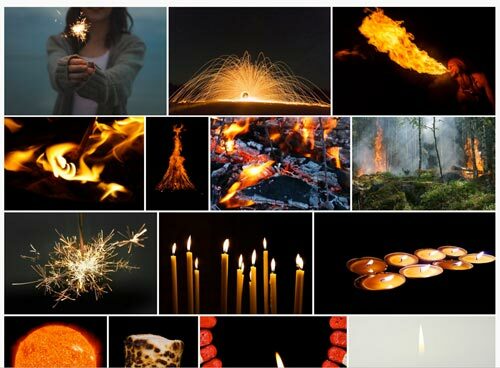 Share buttons are displayed on image and text pages. Add follow links to your navigation menus. 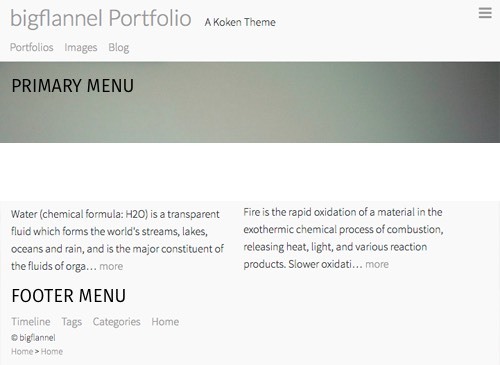 Koken is a free content management and web site publishing system for photographers. 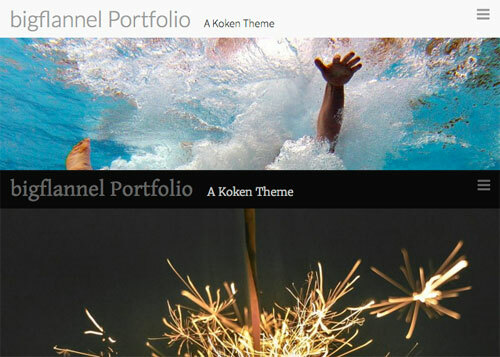 Extendable with plugins like Koken Instagram Plugin, Koken Password Protect, Koken Image Protect.